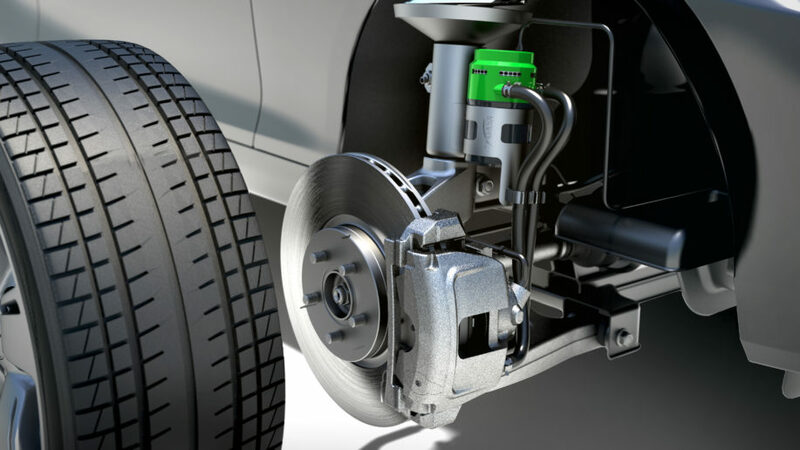 As brake emissions continue to trend toward the spotlight, several companies are developing solutions. In 2018, The BRAKE Report spoke with MANN+HUMMEL about its brake dust filter. 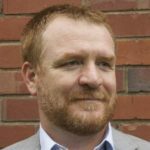 This week, we spoke with Christophe Rocca-Serra, founder of Tallano Technology. His company’s solution to brake emissions is a vacuum that aspirates particles into a filter. Rocca-Serra comes to the brake industry with a background in entrepreneurship and financial services. He jokes that in his former industry, “the scale of decisions is a second or a minute,” so that getting used to the automotive industry’s timeframes has been a challenge. The BRAKE Report: Tell me about Tallano Technology. Christophe Rocca-Serra: I created this company six years ago in France. We are purely an engineering company. We do not produce anything. So we developed this technology step by step with two different products or two different markets, which are rail and automotive. We have some collaboration with different rail operators in Europe and also with car manufacturers and tier one suppliers. Today our technology is much more mature for both rail and automotive. We have some patents to protect our technology, but in terms of concepts its quite simple. We decided to go for the solution that is aspiration at source. For this solution you have to be as close as possible to the point where particle matters are released. Because of the airflow through the wheel, the dissemination of particle matters is important. At the end, our solution is to be inside the pad. So we grooved the pad to aspirate directly within the pad. By doing this, we maximize the capture rate of our technology because we minimize the dissemination. So it’s quite simple in terms of concept, but as you can imagine, in real life it was much more difficult. Today we have conducted more than 2,500 hours of tests on dynos and vehicles on rail lines, and the results are quite interesting. We capture 85% in terms of mass of particles released by brake pads and up to 90% in terms of numbers of particles. And that goes for automotive and rail. TBR: How close do you think you are to production? CRS: We hope to be in production in 2022 for automotive. For rail it’s different. It will appear sooner. We have signed a contract with a French operator, SNCF. We will be on commercial traffic at the end of this year. TBR: What does maintenance look like? CRS: There are two different issues. The maintenance of the vacuum – there is no maintenance. The conception and the design is for the entire lifecycle of the vehicle. That is for rail and automotive. The only thing users will have to do in terms of maintenance is to change the filter. You will have to change your filters, let’s say, every two years for the automotive. The maintenance cycle of the train is a little different. Those filters are changed more frequently. 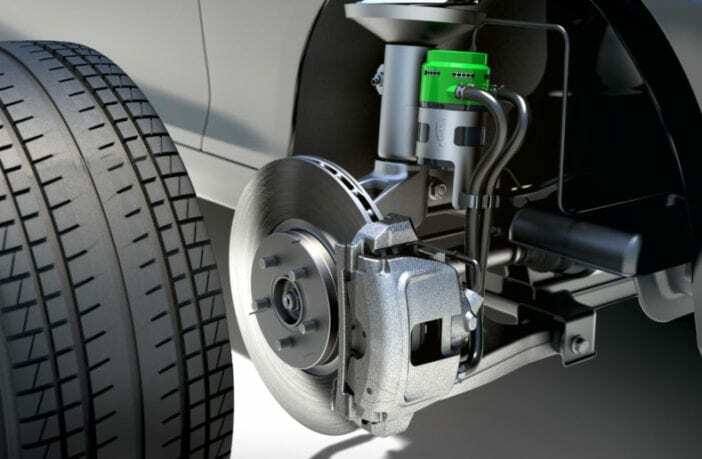 TBR: In the automotive space, are you working with a brake manufacturer? CRS: Of course. You can see on our website one of the first prototypes we produced. We modified the caliper because we have some pipes. We had to deal with existing calipers at the very beginning. Today we are working with two of the biggest brake caliper manufactures because we have to integrate our device within the caliper. Because we are not brake manufacturers and brake designers, we work with those guys. TBR: How did your interest in this field start? CRS: Not coming from the brake industry, not coming from the automotive industry, I’m a pure entrepreneur. I’m coming from the financial services industry, which is quite far away from the automotive or the rail industry. I bought a vehicle around 2004 which produced a lot of dust. I had to wash my rims quite frequently because I used the vehicle to visit my clients. And I realized at that moment — you have many videos on YouTube, for example, about how to wash your rims with 2-3 million views — that there is a real concern of many people with this topic. I started to investigate and realized that no solution existed. So it was quite strange for me. When you have a market with a demand or a potential market as huge as the automotive industry and there’s no solution, it’s quite strange. When I sold my company in 2011, I decided to investigate. I had some meetings, talks, discussions with different tribology labs, especially in France. So we started to investigate, to collect some figures, because at that moment the figures about the emissions in Europe for brake dust were not available, about toxicity also. So I realized we could have a market and also a possible regulation because of the toxicity of this pollution. So I decided to create the company. CRS: As I said earlier, we are an engineering company. We do not produce and we do not want to produce anything. So we are very open-minded toward collaboration. Our goal is really to promote this technology all over the industry. I will be happy when we have collaboration with each of the largest brake manufacturers. We definitely think that we can bring an interesting solution with a cost of production that is acceptable. Read more TBR original content.